The results are in for the fat burning weight loss Fat X Project 2009. You can see the transformation and weight loss via fat over five weeks in the video. 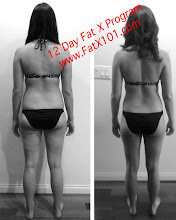 For this fat loss project I decided to use someone a little heavier, a beginner, a working wife and mother of two, so as to show that anyone can use the Fat X Program and achieve weight loss(fat loss). Also, in this project I decided not to complete the FX Program over 12 days, but to use a more conservative pace. 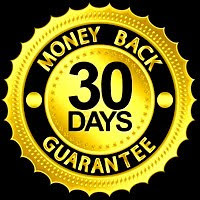 Aleen, completed an average of three FX workouts a week. While the results were good, I must admit I was a bit disappointed. She didn't follow the Fat X diet as closely as I would have liked. She actually took a weekend trip to Las Vegas the final week before taking the after pictures. Not good, but even so, I guess it shows the power of the FX workouts. I just wonder what the results would have been if she would have either followed the Fat X diet a little closer, or any other healthy diet for that matter. I hope this serves as at least a little motivation for those that are still wanting to get into better shape, burn some fat and lose some weight this summer. Get your Fat X Project started today!